Expensive kit but the finished model looks good made up. The kit is a pump but I made it as a PE. I used the escape from the Oxford AEC Regent. I thought it looked better as a PE. 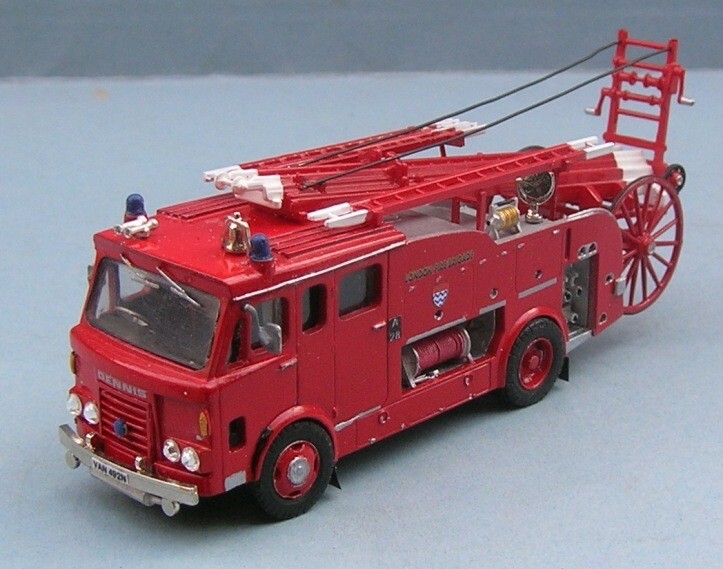 Nice model looks better than the version on FB models WWW, I would love Oxford Diecast to do this type of Dennis. Added by Archie on 06 January 2013.